The luxury segment of the market is starting to see a return of investor interest. 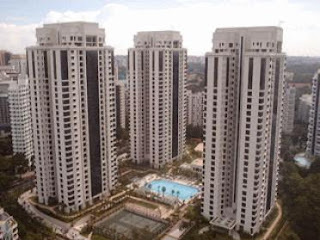 Mr Seah, an avid Singaporean property investor and the owner of a freight forwarding business, recently signed the option to purchase a four-bedroom unit on the 62nd level of the 66-storey Marina Bay Suites. He paid close to $6.7 million ($3,258psf) for the 2,056sqft unit in mid-September. 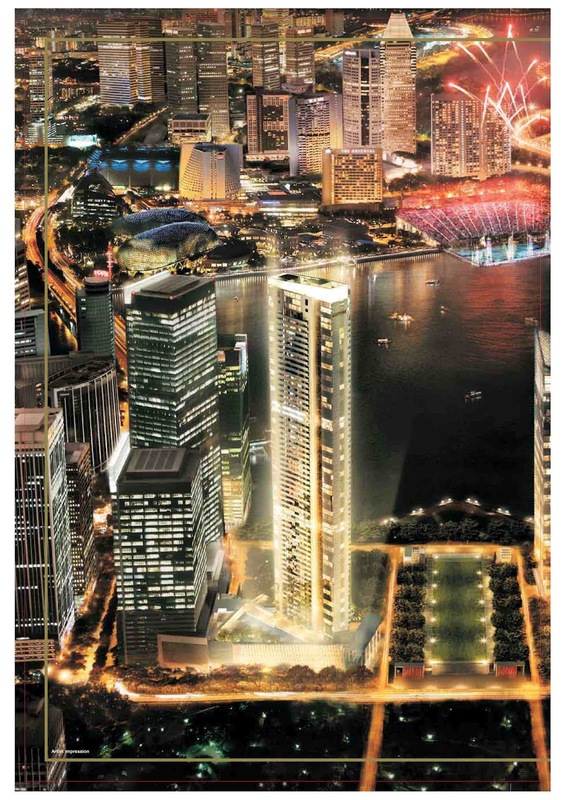 "Marina Bay Suites is the last piece of land with views of the bay," says Seah. "I prefer this to Ardmore Park area because of views." As the 22-unit luxury condominium is projected to be completed sometime next year, he's looking for an interior designer to help him with the furnishing. Seah intends to move into the apartment when it's completed. He currently lives in a bungalow in the Siglap area. There are more Singaporeans shopping in the luxury condo market right now, unlike in the past, when this top end of the residential market was dominated by overseas buyers. At the freehold 330-unit Ardmore Park, developed by Wheelock Properties, a 2,885sqft, four-bedroom apartment on the 10th floor of one of the three towers was sold for $9.05 million ($3,137psf) on Sep 10. The last time the unit was sold was at the previous peak in mid-2007, when it went for $7.95 million ($2,756psf). It had changed hands just three months earlier, in March 2007, for $6.3 million ($2,184psf). Prior to that, it was sold in a sub-sale in July 1998, during the Asian financial crisis, for $4.1 million ($1,421psf). This was 19.3% below the buyer's original purchase price of $5.08 million ($1,761psf) in August 1996, at the peak of the mid-1990s property boom. 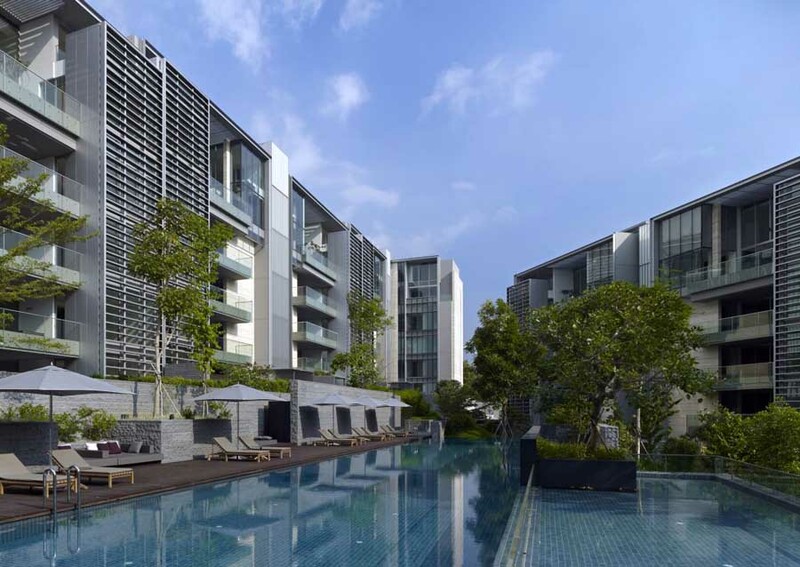 The latest transaction price for the unit is the second-highest psf price achieved at Ardmore Park this year since the additional buyer's stamp duty (ABSD) kicked in last December. The highest price was set in February, when a 2,885sqft, four-bedroom apartment on the 27th level was sold for $10.5 million ($3,460psf). In January 2010, that same unit went for $10.64 million, which, at $3,688psf, was considered an all-time high for Ardmore Park. Hence, the price of $3,137psf shows that prices in Ardmore Park are still holding steady, points out Jacqueline Wong, director and head of corporate residential solutions at HSR Property Consultants. The freehold Nassim Park Residences saw its first sub-sale this year, according to caveats lodged with URA Realis. The 100-unit luxury condo is fully sold and obtained its temporary occupation permit just last year. The project is developed jointly by UOL Group, Kheng Leong and Orix Corp. The unit that changed hands in the sub-sale was a 3,466sqft, four-bedroom apartment on the fourth floor that was transacted at $11.3 million ($3,260psf). The seller had purchased the unit directly from the developer in July 2008 for $10.16 million ($2,932psf), thus seeing a capital appreciation of 11.2% in four years. As Nissam Park Residences is only a year old, transaction prices are usually pegged to the market rate for new units, says Wong. There are very few secondary transactions in Nassim Park Residences as most of the buyers had purchased units for their own use, she adds. Most buyers in the luxury segment today tend to be owner-occupied rather than investors, says a property consultant who declines to be named. This is because rental yields at the luxury segment tend to be relatively low, with gross rental yields in prime district 10 generally hovering at 2% to 2.5% gross, he estimates. Ardmore Park has remained a popular choice among buyers, as the area is an established residential address for the rich. 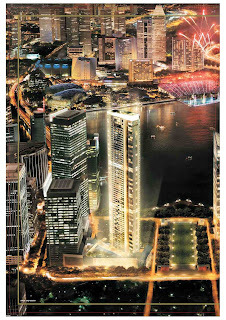 "The area is well known among foreigners, especially Indonesian buyers," notes Wong. Word on the street is that Wheelock Properties held a VIP preview of the freehold Ardmore3, located next to Ardmore II, over the weekend of Sep 22 and 23. 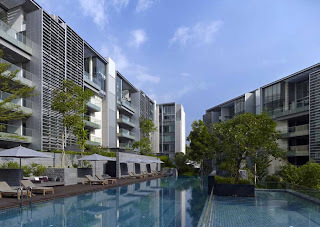 Ardmore 3 is a departure from Wheelock's well-honed formula for luxury apartments, as seen in Ardmore Parkcondo, Ardmore II, as well as Grange Residences and Orchard View, where typical apartments are four-bedroom units of more than 2,000sqft. In Ardmore3, typical units are three-bedroom apartments of 1,800sqft. Industry observers reckon that the developer is appealing to a different segment of the well-heeled - the younger set who may not want a huge apartment. This will also bring down the overall absolute price. Prices are said to start from $3,100psf, according to sources, and this means quantum prices will be from around $5.5 million, according to sources. Most buyers who purchase units in the luxury segment today are also hoping for future capital gain, says a property agent in the luxury market. "With the strong Singaporedollar and a generally stable economy set against a landscape of global economic slowdown, many foreigners still view the country as a safe haven to park their money," she adds. 5 comments to ''Property spotlight: Luxury segment stirring again"
I actually agree with these smart investors. Why buy D20 now when you can get a condo in a D10 for the same mooncakes? Please don't have a herd mentality; buy a property that appeals to your soul's nourishment. I observed, the really rich folks prefer quiet prime properties over the mass market ones. Also freehold prime districts are more resilient during valley times than their freehold counterparts in mass markets. In the future, Singapore will have so many many MRT stations. Perhaps, next time, properties that sell out would be those advertised as "far far away from MRT." As that would mean little noise & light pollution, exclusivity, a peaceful & serene environment where our children can roam freely. I really need a coffee now... I must be talking nonsense. The wife and I actually agree with those smart investors too... except we don't have the $6+ million necessary to buy a unit at Marina Bay Suites (besides the little issue with living right smack within the CBD where everyone goes to work at). We much preferred Ardmore Park, which although a much older development, is very well-kept and more condusive for family living (and outside of the CDB too!). But alas, the $9+ million price tag is more than a slight challenge. Sky Habitat current psf (being sold) is higher than completed FH in District 10. Me take me big fat foot out of me big fat mouth. Me not saying D20 is not as good as D10. Me sister staying in D20 also. Me like D20 too. Me just saying that Sky Habi in D20 is way too expensive for D20; for that price, one can get a D10/D9 small FH apartment. okie, Me swallow mooncakes as punishment?? ?